Investment in the construction sector is increasing in the Albanian capital with many new projects. 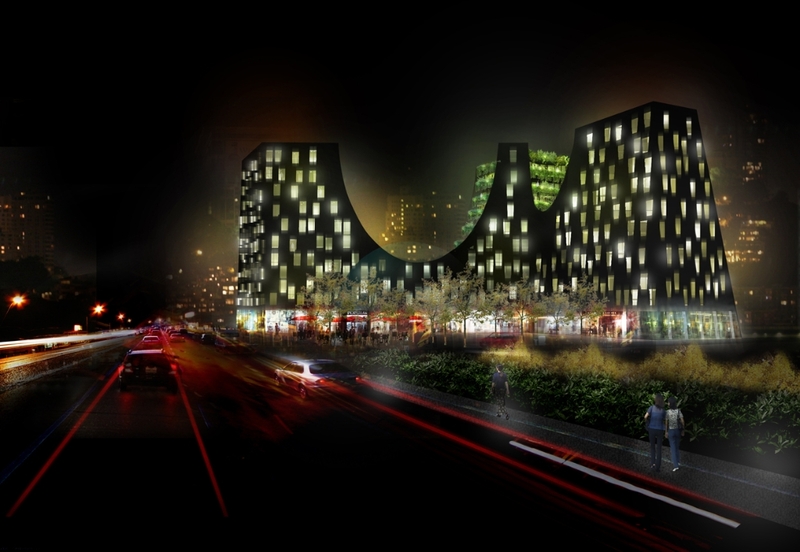 A new mixed-use building is planned to be constructed at Durresi Road, Monitor reported. 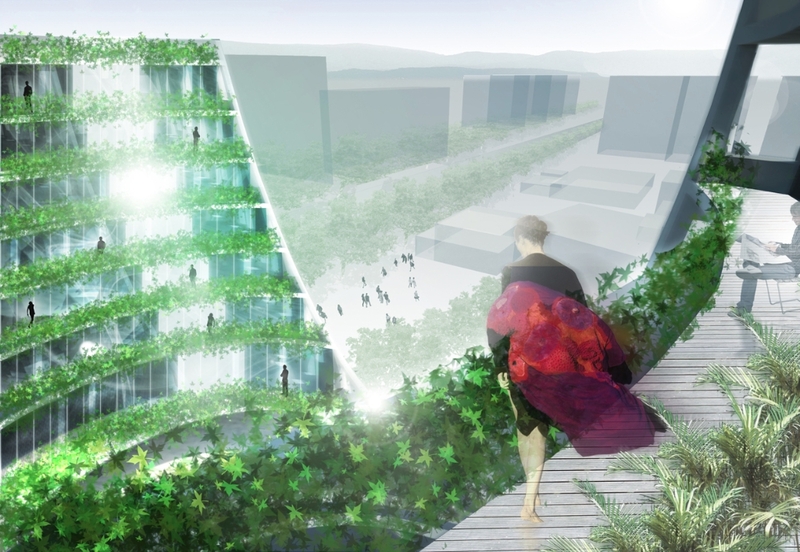 Based on the available information, the new project named ‘Greenside Out’ was designed by Dutch Joubert Architecture (JA) studio for Eurocol Construction Company in Albania. The building will include commercial and residential premises. Currently, there are no details about the time when the project will be completed even though, JA Studio has announced the project since 2012. 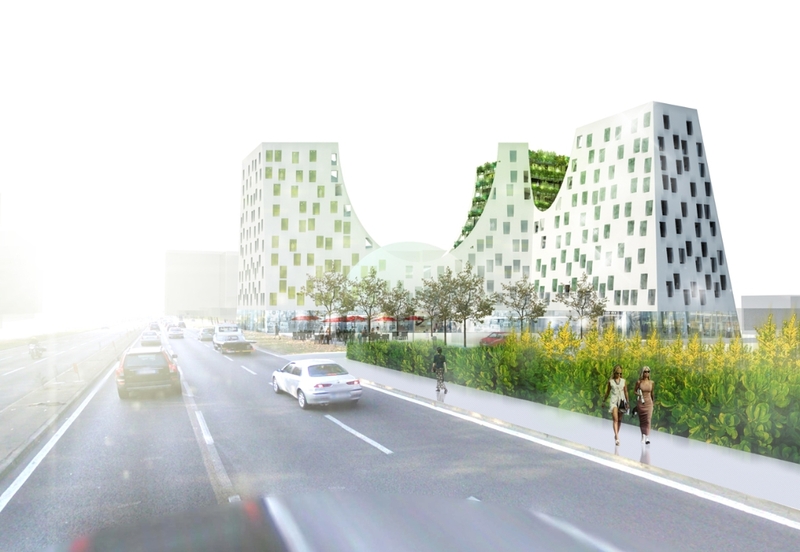 “On this location along a highway in the city center of Tirana we develop a project with shops, offices, and housing. Offering a quiet interior and an iconic exterior while filtering air via green facades and a water recycling system leads to the highest residential quality,” it was said at JA’s Studio website about the project. The size of the building will include a total of 9,600 square meters plus 3,000 square meters parking garage. On its part, the Albanian construction company Eurocol has a rich portfolio of projects both private and public such as Toptani Center, Korca’s Center and old Bazar, a luxury residential complex at the coast of Drimadhes. In the meantime, the work has started for the construction of another luxury mixed-use building in the area between Dajti Hotel and the Catholic Cathedral. Even in this case, the project was announced since 2014, but the construction process started this October. MET Building Tirana project finalized by Mario Cucinella Architects (MCA) is a mixed-use commercial, tertiary, residential, and high-density building.